Unless Pete messed with Joel/King's DNA, it may not be a problem. Is @Silly Zealot wincing yet? 1) I find, by mere chance, a portal that throws me into the housepets! universe. 2) At the day of the wedding, probably at the Milton Manor courtyard, I'll sneak into the estate and when the guards and wolves try to apprehend me, I'll start hugging and kissing them all over their heads. This should scare them off, am I right? I am right! 3) I reach the courtyard and wait until the part in which the squirrel nun says "if anyone knows any reason for these two to not be together..." etc. Then, I will scream "OBJECTION!" and then say: "I'm offensive and I find this human! Besides, you can't marry that lil' guy until you meet his parents. It's the law! Or something...."
4) After that, I'll start throwing fish heads at everyone, which I would have acquired previously on the market, or the Bigglesworths' house. All this will ruin the party and delay any attempt at marriage for at least six weeks, giving me time to buy yet more fish heads! Great plan, huh? HUH?! Brilliant, man. It's so crazy, it just might work. Rave on! I'd also like to know what the title of that "Worst metamorphosis..." story was, if for no other reason than to avoid it. ...as he sees it, their puppies would be therefore his as well (or his, split with Keene/the Milton Estate). I believe the law on the matter (at least in the real world) is that the owner of the mother is the owner of the puppies and can do with them whatever he sees fit. This includes transferring ownership to the owner of the father, giving them away, seeling them, etc. Ditto. You might want to consider using RL (Real life). It's pretty standard. 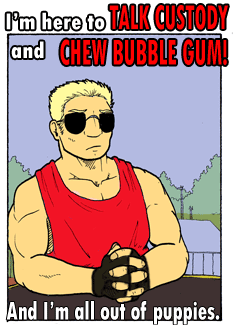 Right, I'm pretty sure Argent rather put rather more succinctly what I rather ineptly trying to get at. Would that be from embarrassment or anger? Both are kinda justified at the moment (see above discussion of how the Housepets! Universe is kinda creepy). Yeah I try not to think about it too hard because it creeps me out a little too much. We are humans, man, you think just because someone asks nicely we are gonna respect their wishes throughout the generations forever and ever? I love a dialog from the Simpsons, in which Bart and Homer are listening to the TV in the middle of the night in full volume. Lisa: "turn down the volume, I'm trying to sleep!" Homer: "Oh, Lisa, if we didn't turn it down when the police came, you think we would do it for YOU?" 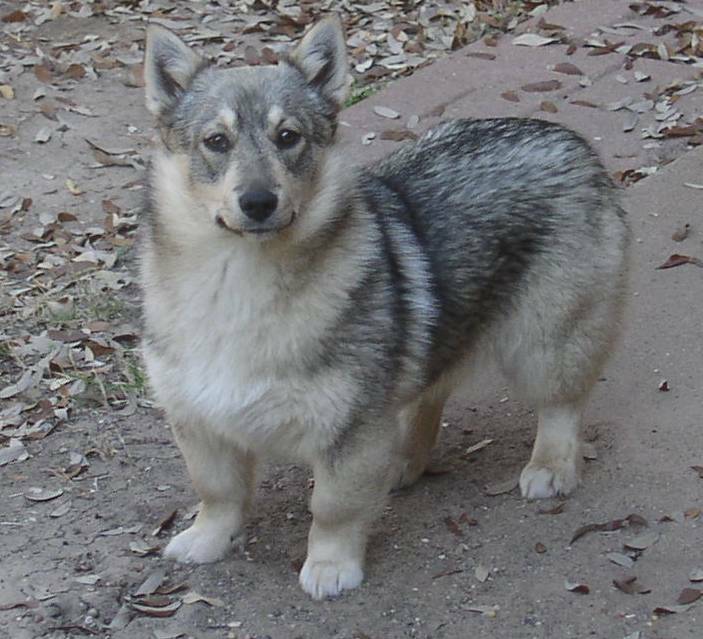 Swedish Vallhund. A Viking Wolf Corgi.